Come into the jungle and really go ape over this wonderful staging of the Tarzan musical based on the Disney film. With music and lyrics by Phil Collins and directed by Chris Brent Davis, this show really delivers up to the audience. Great costumes by Amanda Edgerton West and super exciting choreography by Cindy Mora Reiser, the cast of more than 20 players take to the stage designed by Daniel Patillo to tell the story of the boy raised by the primates. When we first meet the young Tarzan (Vinny Montague) he is incredible. This young man does it all; acts, sings, dances, and does acrobatics with ease. He is taken into the tribe by Kala (Leslie Bellair) and allowed to stay after Kerchak (Marcus Hopkins-Turner) finally agrees to have a different species residing with his family. As the show progresses the older Tarzan comes to the stage. He is played by Stanley Allyn Owen, who also can do it all. After all, what else would a homo sapiens do if living in a primates tribe in a jungle. Then he meets Jane (Alison Wilhoit), who is there with her father’s safari group on some research; and some of his human emotions start to develop. Things go awry when Jane’s father, (Steve Hudson) gets into a problem with his safari manager (Hayden Rowe) has a different plan of activity than that of the Professor Porter. You probably recall the grand scheme of the story by Edgar Rice Burroughs, and while one of the gorillas does get done in, in the last scene; it is a scenic delight for all the kids from 3 to 93. Come back about 15 years, when we went to war with Iraq, and there was almost as much political unrest as we experience today. 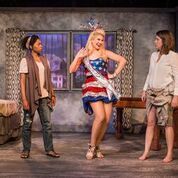 Wendy Wasserstein’s play is set in an Ivy League type of college in Massachusetts. Professor Laurie Jameson (Mary Claire Klooster) is drowning her students in analysis and interpretation of King Lear. One of her students is Woodson Bull, III (Michael Sanders) who prefers to go by Third as opposed to Woody or some other name. He’s caught up in a fix because there is to be a filming of some special from the BBC on a day when he is supposed to be in the ring as a wrestler. What’s to come first? Athletics or academics? He’s supposed to write an essay on Lear, and when he delivers it up, the professor suspects plagiarism, and sends him to a review committee. Third goes through a lot of life changes, as does the professor. A colleague, professor Nancy Gordon (Mia Kristin Smith), also has some issues both with her health and the school environment. Are we dealing with just students, or with the privileged elite heirs of hoity-toity families? It might make you think of Yale with some who became presidents and you wonder how . . . Some of Laurie’s problems are also her daughter, Emile (Emily Styron) who wants her own life, and her father Jack (Rial Ellsworth) who has lost most of his marbles and lives with Laurie. As the scenes progress we are compelled to reflect on issues of how we see others, as well as how we relate to others. After all, most of us have families, and we know how that can work out. It was more than 90 years ago that Alan Alexander Milne conceived Winnie-the-Pooh and his friends, who have enchanted children for generations. The drawings in the stories were done by E. H. Shepard and are black and white sketches. The kids and grand-kids will enjoy seeing Winnie, Kanga, Piglet, Tigger, Eeyore and more in the galleries of the High. This exhibition comes here on loan from London’s Victoria and Albert Museum, and is top class. There are plenty of props in the galleries where you can get some neat snapshots of the kids in Pooh-like surroundings. You may also like to know that the Center for Puppetry Arts, which is close-by to the High has a great show for the youngsters, Click, Clack, Moo: Cows that Type. And also know that the Alliance Theatre at Woodruff Arts Center, next-door to the High will be staging a musical for youngsters based on Winnie, through July 8, 2018. This is a terrific one for the kids this summer. The children really get into the story line; as some of them may know the book by Doreen Cronin from which this was adapted by Jon Ludwig and Jason Hines. Jon Ludwig also directs this show. It is a story about some cows who want blankets for cold nights, and when farmer Brown says no; they start to revolt and they learn to type notes, etc. As the resistance goes on their campaign is joined by other animals from the farm, until Brown gives in and all comes right in the end. No politicians are hurt and there is no violence. 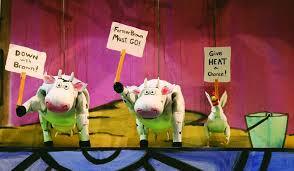 Dolph Amick wrote the music for this one, and he is onstage performing it, while four puppeteers do their thing. The kids pick up on the words of the songs and they all join in as the play progresses. Mandy Mitchell, Amy Sweeney, Brian Harrison and Tim Sweeney manage the stick puppets with many fast changes and adaptations. The old folks enjoyed the show as well, just being around that many younger people who were having such a great time. And also keep in mind that before or after the show you can take the kids to the High Museum which is hosting a show from the Victoria & Albert Museum of the drawings done by A. A. Milne when he created Winnnie-the-Pooh. Step into the world of film with Cinebash, a first-ever film party that celebrates cinema through multimedia art forms. The celebration blends immersive experiences with food, music, and other production elements for an unforgettable evening. Cinebash extends beyond traditional screenings, opening film culture to a broader community. The inaugural event will pay tribute to Saul Bass, Jewish-American graphic designer and Academy Award-winning filmmaker best known for his motion picture title sequences and promotional posters for films such as Alfred Hitchcock’s Vertigo and Psycho, The Shining, West Side Story, and more. Other highlights include delicious bites from popular restaurants curated by Taste of Atlanta, signature themed drinks, and custom swag bags. We thank you, Aurora for collaborating with the Ferst Center at Georgia Tech, to bring your great production to the heart of the metro area. The great ABBA musical, directed by Justin Anderson has everything you would see in a national touring company. But, . in a smaller venue you get to feel as if you are right up on stage and close to the performers, rather than sitting behind 1,000 other folks. This one has legs as we say in show biz. It played at the Fox 3 times in last 15 years, and generally sells out. Nobody gets killed, there are no expletives, and the story line, scripting and production are all Broadway class. You know the songs, and the story line about the single mom on a Greek island whose daughter is to be wed. But, the young lady has no idea who her father may have been and the story evolves from her investigations and desires. Sophie is the youngster, and is played by Hannah Church. Her mom, Donna (Kristin Markiton) runs the taverna she built and runs. And the fiancé, Sky is Nick Arapoglou. Every one of the performers is belting out numbers, even if they are singing backup offstage. Chris Kayser (possible father Sam) even manages to sing, as do Travis Smith (possible father Bill) and Greg Frey (possible father Harry). Macie Millard and Terry Henry play off one another and really come on singing the Chiquitita number in Act 1. The entire cast of more than two dozen players put incredible energy into this production. The choreography by Ricardo Aponte is really exciting, and the orchestra under the baton of Ashley Prince deserves an award for their great output. And if the music, dance and story aren’t enough the costumes and props are also first class. If you didn’t see this at the Aurora, then you MUST get over to Georgia Tech for a thoroughly entertaining performance. More than 150 years ago, a scary story was published in London in what was then called a penny dreadful. It was titled The String of Pearls; but it was about that demon barber on Fleet Street. It didn’t take long to hit the stage as it has been adapted many times and been playing around the world since 1865. Then along came the current version by Stephen Sondheim, based on book by Hugh Wheeler. It won almost all the Tonys when it came on stage in 1979. You have seen the play and/or the film and know the basic story. It’s about that barber who got sent down to Australia by some corrupt judge, and years later shows up in London Town seeking revenge in a somewhat bloody way. 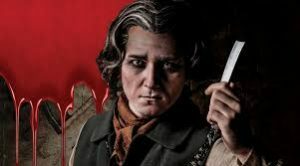 Barber Sweeney Todd (Michael Mayes) hooks up with Mrs. Lovett, who is a lousy baker trying to eke out a living by making and selling her awful pasties. She was using road kill as a filler, until Sweeney figures out a much heartier source. Mrs. Lovett is sung by Maria Zifchak, and she and Sweeney make quite a pair. But wait. . . . you’ll also enjoy Leah Partridge as the nut-case beggar woman. She’s a hoot. The tale involves a young sailor (Joseph Lattanzi) who falls for Johanna (Vanessa Becerra) who turns out to be the daughter of Sweeney, who has been raised in very tight circumstances by the judge who sent Sweeney away. The judge (Tom Fox) has the hots for his foster daughter and would wed her, would she be willing to do so. Ugh…. And he is supported by a colorful Beadle (Timothy Culver) who is a civil servant guard. 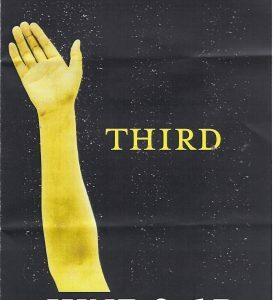 The other three principals are Adolfo Pirelli (Christopher Bozeka) and his assistant Tobias Ragg (Ian McEuen) who also winds up working for the pie lady. Matt McCubbin doubles as the loony Jonas Fogg who runs an asylum. However that is not the entire cast. They are joined by a company of many more players who are the street people and help to move the story along. This is a huge presentation for the Atlanta Opera. The sets alone must have taken some great work to move into the theatre. They are backed up by a full orchestra in the pit, and the costuming is great as well. There are two numbers which will ring a bell, and they are Not While I’m Around (also referred to often as Nothing’s gonna hurt you . . .) sung to Mrs. Lovett by Tobias, and Pretty Women sung by Sweeney and the judge. If you expect to see a lot of blood and corpses, please know that is not the case. It is part of the story, but it isn’t thrust at you in a manner to revolt you. What this is, is an excellent and highly professional production of a contemporary classic work directed by Albert Sherman, with the orchestra under the baton of Timothy Myers. The title shown above is really the name of this show. It is about a couple of nobodies in NYC who want to get somewhere in the theatre business. 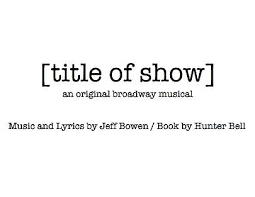 With only three weeks left before the submission deadline for the New York Musical Theatre Festival, Jeff (Jeff Cooper) and Hunter (Blaine Clotfelter) set out to put together some story line and numbers. The show you see them trying to make, is the show itself. In any of the cultural arts, be it theatre, dance, painting, writing or whatever, the top of the pyramid is maybe 5% of those involved and they control more than 90% of the revenue; for in our society it is celebrity that sells. Ergo, if your name goes above the title, be it play or book, you are in top position. These two nobodies bring in a couple of women to collaborate and hopefully perform with them. Heidi (Gina-Ann Riggs) and Susan (Becky Ittner) get into it deeply as the four of them try to move forward through differing points of view. It is always a question whether to make changes, or not. The music is provided by Shane Simmons, who does great onstage on the keyboard, and gets into the act after a while. 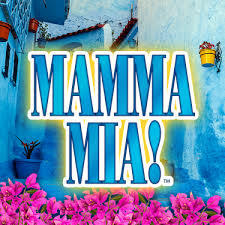 Directed and choreographed by Zac Phelps, this version of the show runs in two acts and several musical numbers; most remembered being about how they would all prefer to be nine people’s favorite thing than a hundred people’s ninth favorite thing; since that 9% spread the word and build audiences. The Serenbe Playhouse is the most unique venue in our area. Located in a village that’s part of Palmetto, it is easy to reach off I-85 south. Since they started just a few years ago, they have produced many really fine shows in open air settings. There are seven such settings in their development. In Peter Pan, you need first to find your way to Neverland. That’s why when they confirm your tickets they will also send you information to know and to plan your visit. Print it out and take it with you. This setting is in a woods where they have built a ship for Captain Hook and his crew. The seating for adults is along benches, while there are blue blankets spread out up near the stage so the youngsters can sit in an ocean to watch the action. The original Peter Pan was the classic work of James Barrie, and to this very day every license fee for the story goes to the London orphanage which he endowed with the tale. This is not entirely the Peter Pan you read to your kids or grand-kids. It has been camped up a bit to give more entertainment to those older folks over 12, and bring it to present day. Case in point is when Hook (Jeremy Gee) does his dance numbers, and wishes he could meet Bob Fosse, as he would prefer to go to Broadway. Not exactly what his mother had in mind for him. When the show opens you’ll be amazed to see Tinker Bell (Alexandria Joy) fly into the set while sprinkling her pixie dust over the audience. 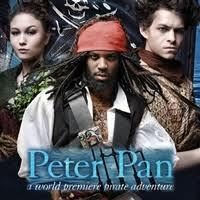 And you will enjoy meeting Peter Pan (Aaron Schilling), who didn’t aspire to grow up. Michael Alvarez directs this highly energetic play, adapted from Barrie’s story by Roger Q. Mason, with music and lyrics by Ella Grace. It is performed in daylight hours, so that the youngsters have no problem, and since there is a forest trail to your seats it helps us oldsters make sure we don’t trip. I do suggest you plan to arrive early, as the only parking is on one side of a gravel road, and then a couple of minutes stroll down to Neverland. If you have a fan take it with you if it’s a steaming hot day. This is such a time for political drama and comedy. This one is written by the most produced playwright, Lauren Gunderson; and what is amazing is that it was staged first in 2013 before Potus was in the scene. Just think about it; Hamilton shows up while Ben Franklin is in town, and now we find some women activists and George Washington, Ben Franklin, James Madison, and others right at hand. So here we are in a time of almost total confusion as to who is doing what and why, and where do we stand and what may we expect. Not quite what we expected when we were just growing up. Suehyla El-Attar directs this one with a cast of three female actors. There is a time warp in the play as we start off with Miss Georgia (Caroline Arapoglou) who is a hoot. She may be on the carpet looking to be Miss America, but she has a hidden agendum which is rewrite the Constitution. So how to get started with such a feat? Take a couple of other ladies prisoner and make them help out. So she grabs on Patricia (Kelly Criss) who is the top aide to an egotistic far right southern Senator. Then Patricia gets into it face-to-face with Bianca (Jimmica Collins), who has a far different view. She’s far left wing and into tweeting. Any of this resonate with you yet? The show is one continuous riot with plenty of arguments, and it makes you really start to think more about the rights of the average person, especially the women. And you will love Bianca’s involvement in her version of the NRA. It is not what you might expect; but just go there expecting an evening of totally first class entertainment. The sets, costumes and every aspect are totally first class. The theatre is located in the Invesco Center at 1545 Peachtree St. You can also buy a reduced price parking pass if you park in the garage behind the building.